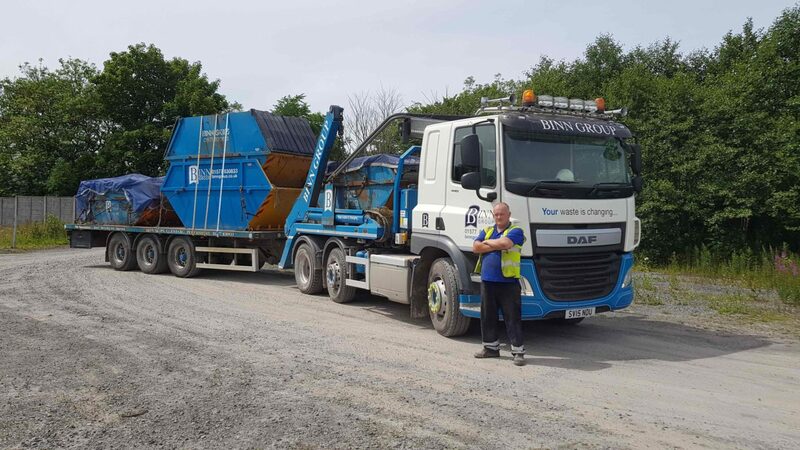 At Binn Group our dedicated and loyal drivers ensure that our customers recycling bins are processed and emptied in a timely and efficient manner. This is an integral part of our daily operations, and without our drivers we simply would not be able to provide our waste management service to our customers. We recently spent five minutes catching up with one of drivers Nick Webster, who has provided us with fantastic images of our Binn trucks that he takes as he drives them across the length and breadth of the country, carrying out his day job. Hi Nick, great to speak to you. How long have you been with Binn Group? I have been with Binn Group now around 10 years. Could you tell us about any hobbies you may have? I am not sure about specific hobbies, but I must admit I really do enjoy taking photos of my truck when I am out and about, especially when there is beautiful scenery in the background. I normally start work at 6am and finish between 5-7pm. I have no set day to day route, just go where I am needed! What is your favourite location to service? I think it would have to Aberfeldy as it really is a nice location within Scotland. What is the best thing about working for Binn Group? I think it would have to be the ability to get out and about and travel around the country, and see for myself the incredible scenery Scotland has to offer. This entry was posted in Community, News and tagged Driver, Employee, Life at Binn Group.